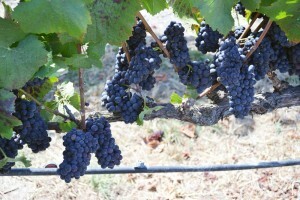 The grapes are quickly approaching harvest and we will be obtaining a grape analysis shortly to determine progression. If the damp mornings continue, we will work to maintain a well balanced environment. Our vineyard field crew has been vigilant about development and maintenance of a ventilated canopy. Specific fruit was dropped for creating an ample ventilated grow zone. Erosion control has been evaluated to appropriately move water out of the vineyard for proper drainage and avoidance of root rot. Orentano Wines © 2013-2019 All Rights Reserved.